Missed parts 1 – 6? Start from the Beginning. 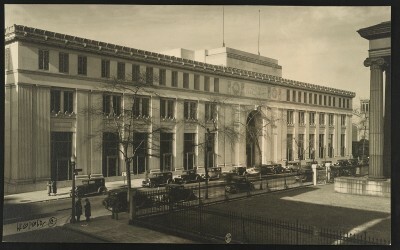 Enoch Pratt Free Library Central Building, c. 1933. Photo by Harry B. Leopold, courtesy of the Library of Congress. Progressive-era reformers prized and promoted self-improvement. Ideally, education took place outside of the classroom as well as inside and the expanding public library system offered important resources for self-education. In Baltimore, the Enoch Pratt Free Library (EPFL) brought books to a wide range of citizens, opening branches throughout the city. In neighborhoods where building a branch was not economically feasible, the EPFL set up small “stations” in rooms within existing buildings. The station was a temporary measure until demand and financial resources allowed the construction of a local branch. In East Baltimore the EPFL arrived in the form of Station 11, due to the efforts of the Jewish community. The Maccabean House, the JEA’s predecessor, took the initiative to draw the Enoch Pratt Free Library into the neighborhood. The Maccabeans offered the books and the space if the EPFL would supervise, and in 1904 Station 11 opened with about 500 books in its collection. Library statistics clearly demonstrate the local demand – in the first two weeks, 121 people had registered and borrowed 666 volumes. Over the next year, 599 people registered and 17,291 books circulated. Station 11’s first librarian, Mrs. Bloch, shared the Progressive views of the settlement house movement. 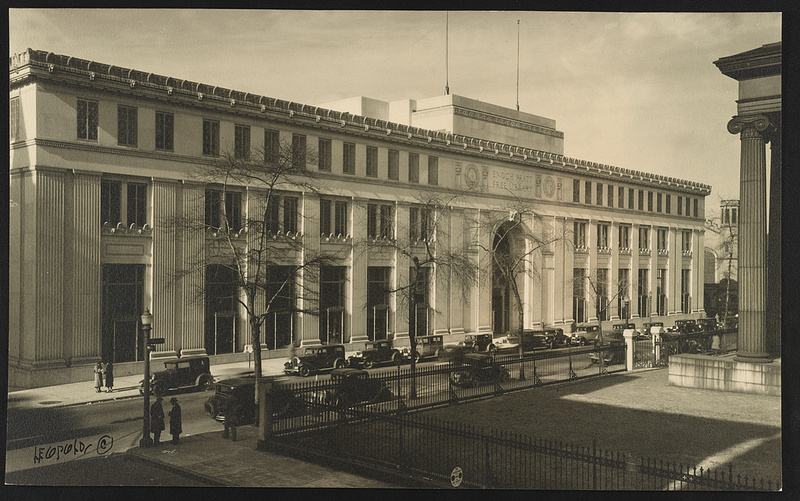 Like many librarians throughout the U.S., she saw the library as a major force in Americanization. She once wrote in a report to her superiors at the EPFL that “we have an opportunity to teach the half acclimatized foreigner to think American thoughts and so become Americans in spirit, which is of more benefit to them, and in the end to the people among whom they are destined to live, than all other means used to Americanize foreigners put together.” Mrs. Bloch communicated easily with her constituency, since she spoke English, German, Russian, Yiddish, and Hebrew – the main languages spoken by the patrons. Station 11 also offered books in all of those languages. 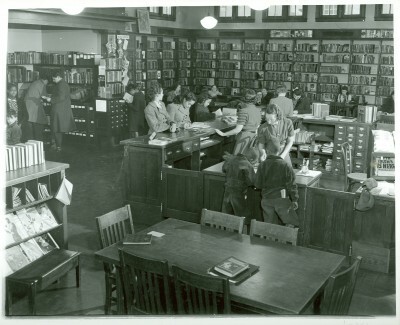 Inside the Enoch Pratt Free Library Branch 11, c.1940. Courtesy of Enoch Pratt Free Library, mdaa064. Debate raged within the larger library community over the inclusion of books in foreign languages, but for librarians like Mrs. Bloch it was more important to have immigrants reading good, wholesome, intelligent books, than to force English on them immediately. It seems, however, that as the immigrants learned English, they also craved information on their adopted country. According to EPFL records, American biographies, especially on George Washington, circulated more than other kinds of books at Station 11. However, the library books covered more than just American subjects. Patrons checked out volumes on physics and classical literature. Mrs. Bloch did not leave the influence of the library to the passive lending of books, she also established book clubs and lectures. In 1909, when the Maccabean House and the Daughters in Israel merged to form the JEA, Station 11 continued under the JEA until the end of the year as the settlement house negotiated with the EPFL to maintain the station elsewhere within the neighborhood. In 1910, the books moved into rented rooms across the street from the JEA at 1119 East Baltimore Street. Two years later, the librarian once again packed up the books and moved, this time to 1208 East Baltimore, not far from the lot where construction would begin on the new JEA house. 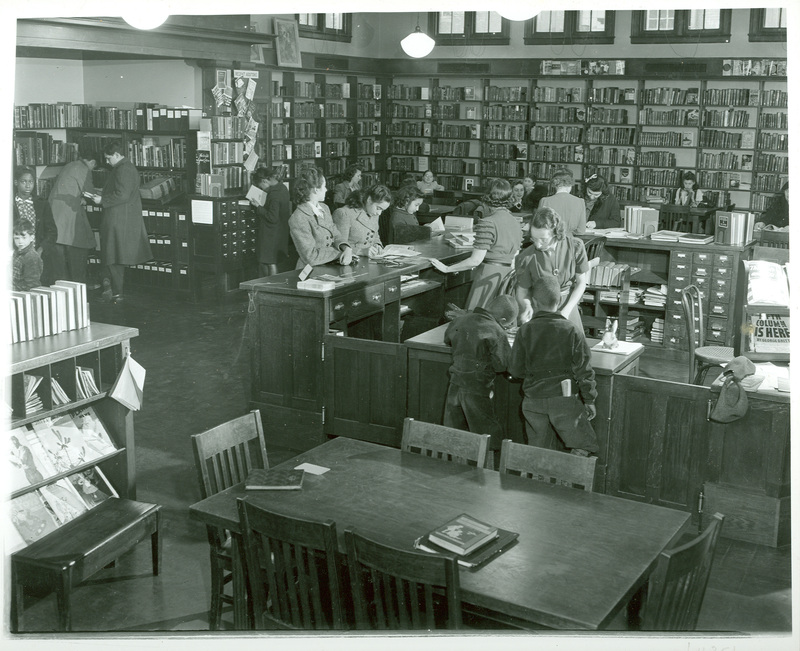 The residents of the neighborhood understood the importance of a larger, established branch library. In 1914 the JEA’s newsletter the Alliance Citizen put out a call for fundraising and published a list of clubs that had already contributed to the cause. In August of 1916, Station 11 once again crossed the street and reopened inside 1123 East Baltimore Street. “The quarters were cramped. Of the two-room facility, one and a half rooms were needed to house stacks.” This would be its last temporary home. That same year, with the help of JEA head worker Isaac Aaronson, the EPFL obtained $10,000 from the city for the construction of Branch 11, just one block down Central Avenue from the JEA. World War I delayed construction, but eventually East Baltimore got its own branch library, which opened on November 23, 1921. The building, now a private residence, still stands today. Amy A. Begg, “Enoch Pratt Free Library and Its Service to Communities of Immigrant Residents of Baltimore during the Progressive Era, 1900-1914,” available from comm-org.wisc.edu/papers96/pratt.html. Annual Report for the Year 1904: Circulation Table, quoted in W. E. Jackl, “Station Number Eleven of the Enoch Pratt Free Library,” Journal of Library History (1972): 147. Annual Report for the Year 1909, quoted in Jackl, “Station Number Eleven,” 147. Begg, “Enoch Pratt Free Library,” 5. Annual Report for the Year 1916, quoted in Jackl, “Station Number Eleven,” 150. JEA meeting minutes, December 1916, MS 170, Folder 213; Jackl, “Station Number Eleven,” 151.